A final example, this time of 'non-contact guarding', can be seen in this photograph, which we made in Tunisia in October 2009. 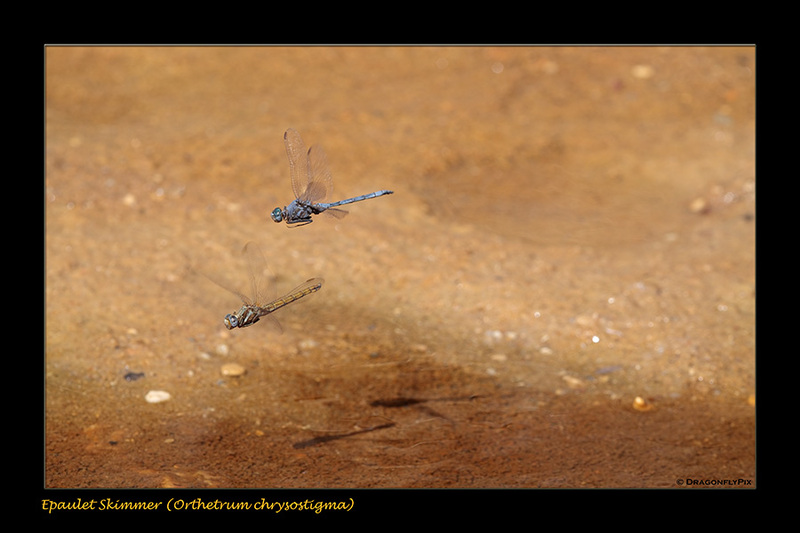 On the left you can see a female Epaulet Skimmer (Orthetrum chrysostigma) while the male hovers close to her. The pair will stay very close together while he will continuously whizz about very quickly to protect her and his own sperm from any potential rivals. In our experience such ovipositing sessions can last for up to 10 minutes, at the end of which the males must be absolutely exhausted.